ZodTTD, who is behind the popular PSX4Droid PlayStation emulator has made version 3.0 free and available as an APK download on his own website, after Google gave him the boot from Android Market, citing "content policy violation". "As of very recently I was working on a large update to psx4droid. This update is MUCH faster and adds the options for OpenGL ES support which can increase performance of devices with good GPUs. Issue is Google pulled this release upon Sony’s request. ", says ZodTTD himself about the events. The rogue developer has had his accounts with Google restricted until the matter is clarified, and can't publish any titles on Android Market now. We doubt there is anything that can be done to prevent circulation of PlayStation, Nintendo, Capcom, or any other classic game emulators out there for Android, but Google can certainly try. 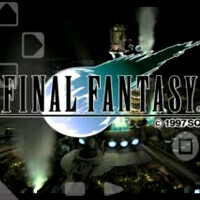 After all, the classic PS one titles for the PlayStation Pocket app on the Sony Ericsson Xperia Play that appeared in Android Market when the phone was launched, are about $6-$7 a pop, while they all have ROMs floating around the Internets that can be loaded in the emulator, and played for free. The ROMs are not optimized for the Xperia Play, however the overall experience is not bad, and you can map the gamepad keys to control the action without blocking the view with virtual buttons on the touchscreen. Have a look at our demo with the Xperia Play running an oldie, but goodie Capcom title in emulator mode. PSX4Droid 3.0 has been significantly sped up, but still renders the games with a software GPU mode. There is an OpenGL ES 1.1 option, but ZodTTD is playing it safe for now with soft GPU rendering by default, since a lot of Android devices with 1GHz chipsets still have the older Adreno GPU in them. There are other PS emulators in Android Market, which perform the same duties as PSX4Droid, so we are curious to see how this will develop. Awesome! Well, considering that I find the Xperia Play to be somewhat redundant in its functions (I'll be waiting for the NGP, thanks very much), I'm more than satisfied with my phone. Now that I FINALLY get to play PSX games on it (my country still doesn't support paid apps, at least not that I know of), I'm loving it even more. Vi veri veniversum vivus vici! Thanks for the hot lead. Downloaded it and tried it out...nice!